The LELLO International team have spent, collectively, 20 years entrenching themselves in their specialized industries and regions. 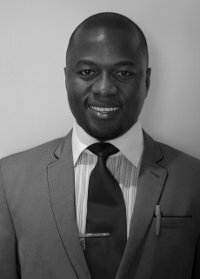 Originally from Angola, Aurelio Santos (Lello) Sekesseke started his career at Spintelligent/Clarion, a corporate leader in conferences, exhibitions, publications and web communications, while studying at the University of Cape Town (UCT). After graduating he worked as a researcher and project manager and assisted with logistics and operations for conferences in Angola and Mozambique. Mr Sekesseke’s portfolio expanded to include Brazil, India and Colombia where, as a Business Development Director at Spintelligent/Clarion, he managed the sales team across multiple time zones. While at Spintelligent/Clarion he managed sales for the following conferences: IPAD Angola, Metering Latin America, Metering Central America, Metering Carribean and Metering India. With extensive experience gained over eight years at Spintelligent/Clarion, Mr Sekesseke decided to follow his own business vision with the founding of LELLO International (Pty) Ltd.
Recognizing a gap in the market for specialised services in the emerging Portuguese speaking countries, notably Brazil, Angola and Mozambique, Mr Sekesseke has discovered his natural corporate niche. He has the experience, practical know-how, drive, charisma and proven track record to deliver the highest standards of service to each and every client. His positive outlook, genuine excitement working with the public and determination to succeed are undoubtedly among LELLO International (Pty) Ltd’s greatest assets. Audrea Tiriboyi is a self-driven and inspirational young woman. After her three months attachment at Freda Rebecca Gold Mine, where she was employed in the Human Resources Department in 2011, having graduated from the Cape Peninsula University of Technology with a B-Tech degree in Human Resources Management. From 2011 to 2012 Audrea worked as a tutor in her faculty of Business at the Cape Peninsula University of Technology, where she was a member of the Human Resources Department tutoring and training junior students in the field. 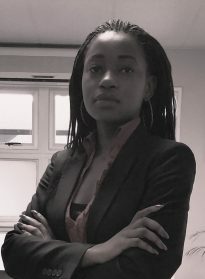 She joined Lello International (Pty) Ltd as the Office Operations Manager in February 2013 where she has also gained sales and marketing experience working on various projects.